Step 1: Do not use a seatbelt. Who needs them? They don’t save lives! If anything, they tether us to these death machines called vehicles! Step 2: Use your cell phone while driving. 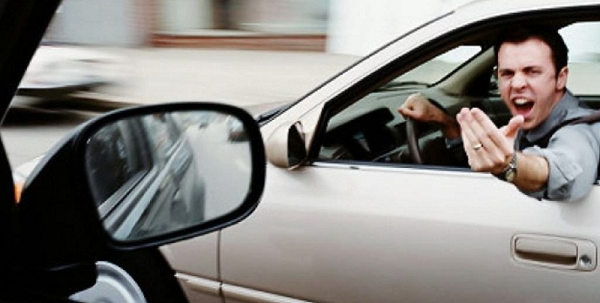 Life is too short to waste any valuable phone time while you are driving. Bonus points if you can take a call, listen to your music, text your boyfriend, and/or update your Facebook / Instagram / Snapchat all at one time. You are a multi-tasking aficionado! Step 3: Do your makeup while driving. Life is a runway, so we all need to make sure to look pretty all the time and some days you just don’t have time to get ready in the morning, before leaving the house. Go ahead and do your makeup in the car. This is what car mirrors were made for – looking at your beautiful face and doing makeup! Step 4: Eat food while driving. Doing just about anything while driving is pretty amazing because multi-tasking is awesome, but eating is the absolute best because food! Bonus points if you can hold your burger in one hand and an ice cream in the other hand and you can steer the steering wheel with your knees. Step 5: Live the Fast & Furious life. Life is too short to get anywhere slowly! There is a reason the Fast & Furious movies were so popular. Faster is always better! Going fast gets your heart beating faster and the adrenaline going. Who cares if you got a meaty speeding ticket that only traffic school will be able to dismiss! Now, you feel so alive! That’s what YOLO is all about! Bonus points if every time somebody pulls up next to you at a red light, you propose a race down the street. A little friendly competition never hurt anybody. Step 6: Drive the normal speed limit or faster during inclement weather. There may be water on the road, due to heavy rain, but that doesn’t mean that you should drive slower or have to spend more of your very valuable time getting to the places that you need to go. Nobody has time to slow down. Who cares if you start to hydroplane and lose control of your vehicle! That’s all a part of living life on the edge! Step 7: Flip off and bad mouth all the bad drivers. Did somebody cut you off or pull in front of you and drive extreeeeemely slow? Of course, the logical thing to do is stare them down to make sure they know that you have an issue with them, blow your horn at them for about a minute or two non-stop to make sure that they are aware that they did something wrong, flip them off, and say every single curse word that you have in your repertoire. Bonus points, if you get them to pull over and proceed to get into a fist fight with them. Nothing like road rage to wake you up in the morning! Step 8: Always tailgate the person in front of you. There’s no such thing as being too close to the vehicle in front of you. Who cares that they might slam on their breaks at any point, causing you to rear end them. Step 9: Never use your turn signal. Change lanes as much as your little heart desires and never use your signal ever. Why warn other drivers about where you plan on maneuvering your giant squishable metal machine? You got to keep the rest of the drivers on their toes! Bonus points if you never look in your blind spot before changing lanes. That way other drivers can dodge you, too! Step 10: Drive during the night time without your headlights on. Afternote: Please be a good driver and DO NOT do anything on this list.